Whisk all ingredients together and let sit a few minutes to allow the Coconut Flour to fully expand. Pan fry on a skillet or nonstick pan in Paleo Oil of choice (only need a tiny spritz). Makes about 6 normal sized Pancakes. Pan fry Apples with Coconut Oil and Lemon juice until golden brown and naturally caramelizes. 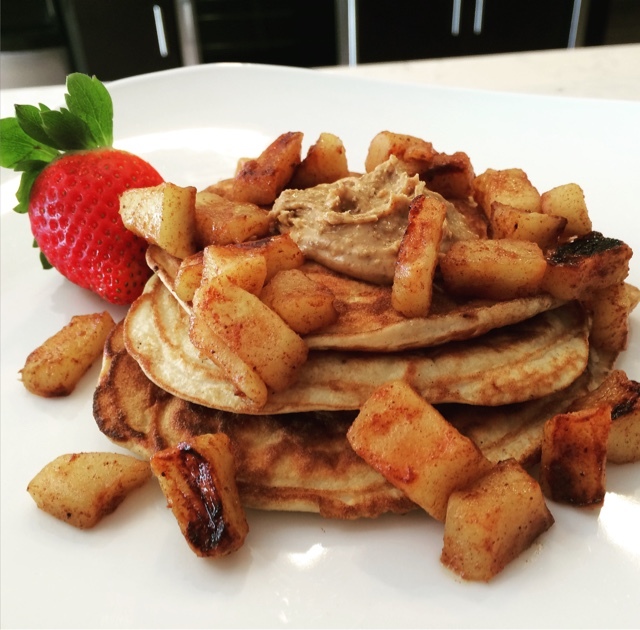 Serve on top of Pancakes with Justin's Maple Almond Butter.